The common law forms a major part of the law of those countries of the world with a history as British territories or colonies. It is notable for its inclusion of extensive non-statutory law reflecting precedent derived from centuries of judgments by working jurists. As a genre of law which is based on custom, tradition, and/or precedent, common law is a historical background of the means towards a harmony and cooperation between human beings who have learned to live according to laws or norms. There are three important connotations to the term. Common law as opposed to statutory law and regulatory law: The first connotation concerns the authority that promulgated a particular proposition of law. For example, in most areas of law in most jurisdictions in the United States, there are "statutes" enacted by a legislature, "regulations" promulgated by executive branch agencies pursuant to a delegation of rule-making authority from a legislature, and "common law" decisions issued by courts (or quasi-judicial tribunals within agencies). This first connotation can be further differentiated, into (a) laws that arise purely from the common law without express statutory authority, for example, most of the criminal law, contract law, and procedural law before the twentieth century, and (b) decisions that discuss and decide the fine boundaries and distinctions in statutes and regulations. Common law as opposed to civil law: The second connotation differentiates "common law" jurisdictions (most of which descend from the English legal system) that place great weight on such common law decisions, from "civil law" or "code" jurisdictions (many of which descend from the Napoleonic code in which the weight accorded judicial precedent is much less). Common law as opposed to equity: The third differentiates "common law" (or just "law") from "equity." Before 1873, England had two parallel court systems, courts of "law" that could only award money damages and recognized only the legal owner of property, and courts of "equity" that recognized trusts of property and could issue injunctions (orders to do or stop doing something). Although the separate courts were merged long ago in most jurisdictions, or at least all courts were permitted to apply both law and equity (though under potentially different laws of procedure), the distinction between law and equity remains important in (a) categorizing and prioritizing rights to property, (b) determining whether the Seventh Amendment's guarantee of a jury trial applies (a determination of a fact necessary to resolution of a "law" claim) or whether the issue can only be decided by a judge (issues of equity), and (c) in the principles that apply to the grant of equitable remedies by the courts. Common law originally developed under the inquisitorial system in England from judicial decisions that were based in tradition, custom, and precedent. Such forms of legal institutions and culture bear resemblance to those which existed historically in continental Europe and other societies where precedent and custom have at times played a substantial role in the legal process, including Germanic law recorded in Roman historical chronicles. The form of reasoning used in common law is known as casuistry or case-based reasoning. The common law, as applied in civil cases (as distinct from criminal cases), was devised as a means of compensating someone for wrongful acts known as torts, including both intentional torts and torts caused by negligence, and as developing the body of law recognizing and regulating contracts. The type of procedure practiced in common law courts is known as the adversarial system; this is also a development of the common law. Before the institutional stability imposed on England by William the Conqueror in 1066, English residents, like those of many other societies, particularly the Germanic cultures of continental Europe, were governed by unwritten local customs that varied from community to community and were enforced in often arbitrary fashion. For example, courts generally consisted of informal public assemblies that weighed conflicting claims in a case and, if unable to reach a decision, might require an accused to test guilt or innocence by carrying a red-hot iron or snatching a stone from a cauldron of boiling water or some other "test" of veracity (trial by ordeal). If the defendant's wound healed within a prescribed period, he was set free as innocent; if not, execution usually followed. In 1154, Henry II became the first Plantagenet king. Among many achievements, Henry institutionalized common law by creating a unified system of law "common" to the country through incorporating and elevating local custom to the national, ending local control and peculiarities, eliminating arbitrary remedies, and reinstating a jury system of citizens sworn on oath to investigate reliable criminal accusations and civil claims. The jury reached its verdict through evaluating common local knowledge, not necessarily through the presentation of evidence, a distinguishing factor from today's civil and criminal court systems. Henry II developed the practice of sending judges from his own central court to hear the various diputes throughout the country. 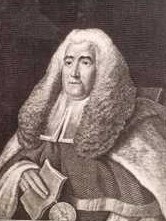 His judges would resolve disputes on an ad hoc basis according to what they interpreted the customs to be. The king's judges would then return to London and often discuss their cases and the decisions they made with the other judges. These decisions would be recorded and filed. In time, a rule, known as stare decisis (also commonly known as precedent) developed, which is where a judge would be bound to follow the decision of an earlier judge; he was required to adopt the earlier judge's interpretation of the law and apply the same principles promulgated by that earlier judge, that is, if the two cases had similar facts to one another. By this system of precedent, decisions 'stuck' and became ossified, and so the pre-Norman system of disparate local customs was replaced by an elaborate and consistent system of laws that was common throughout the whole country, hence the name, 'common law'. Henry II's creation of a powerful and unified court system, which curbed somewhat the power of canonical (church) courts, brought him (and England) into conflict with the church, most famously, with Thomas Becket, the Archbishop of Canterbury. Things were resolved eventually, at least for a time, in Henry's favor when four of his knights, hoping to curry favor with him, murdered Becket in Canterbury Cathedral. For its part, the Church soon canonized Becket as a saint. Thus, in English legal history, judicially-developed "common law" became the uniform authority throughout the realm several centuries before Parliament acquired the power to make laws. What makes the common law so fascinating, compared to Parliamentary law (aka statute or legislation), is that while parliamentary laws are written in a definitive, distinct, formal, and accessible document, known as an Act of Parliament, common laws in contrast are not strictly written definitively anywhere. Thus, to identify a rule of the common law one must review the various relevant decisions of judges and interpret their judgments, which can often be long and ambiguous. Fortunately, there are a host of excellent legal text books written by experts which explain in clear terms what the common law is understood to be at the time. As early as the fifteenth century, it became the practice that litigants who felt they had been cheated by the common-law system would petition the King in person. For example, they might argue that an award of damages (at common law) was not sufficient redress for a trespasser occupying their land, and instead request that the trespasser be evicted. From this developed the system of equity, administered by the Lord Chancellor, in the courts of chancery. By their nature, equity and law were frequently in conflict and litigation would frequently continue for years as one court countermanded the other, even though it was established by the seventeenth century that equity should prevail. A famous example is the fictional case of Jarndyce and Jarndyce in Bleak House, by Charles Dickens. In the United States, parallel systems of law (providing money damages) and equity (fashioning a remedy to fit the situation, including injunctive relief) survived well into the twentieth century in many jurisdictions. The United States federal courts procedurally separated law and equity until they were combined by the Federal Rules of Civil Procedure in 1938—the same judges could hear either kind of case, but a given case could only pursue causes in law or in equity, under two separate sets of procedural rules. This became problematic when a given case required both money damages and injunctive relief. Delaware still has separate courts of law and equity, and in many states there are separate divisions for law and equity within one court. The common law constitutes the basis of the legal systems of: England, Wales, Northern Ireland, the Republic of Ireland, federal law in the United States and the states' laws (except Louisiana), federal law in Canada and the provinces' laws (except Quebec civil law), Australia (both federal and individual states), New Zealand, South Africa, India, Israel, Sri Lanka, Malaysia, Brunei, Pakistan, Singapore, Malta, Hong Kong, and many other generally English-speaking countries or Commonwealth countries. Essentially, every country which had been colonized at some time by Britain uses common law except those that had been colonized by other nations, such as Quebec (which follows French law to some extent) and South Africa (which follows Roman Dutch law), where the prior civil law system was retained to respect the civil rights of the local colonists. India's system of common law is also a mixture of English law and the local Hindu law. In a common law jurisdiction, several stages of research and analysis are required to determine what "the law is" in a given situation. First, one must ascertain the facts. Then, one must locate any relevant statutes and cases. Then one must extract the principles, analogies and statements by various courts of what they consider important to determine how the next court is likely to rule on the facts of the present case. Later decisions, and decisions of higher courts or legislatures carry more weight than earlier cases and those of lower courts. Finally, one integrates all the lines drawn and reasons given, and determines what "the law is." Then, one applies that law to the facts. In common law legal systems (connotation 2), the common law (connotation 1) is crucial to understanding almost all important areas of law. For example, in England and Wales and in most states of the United States, the basic laws of contracts, torts and property do not exist in statute, but only in common law (though there may be isolated modifications enacted by statute). In almost all areas of the law (even those where there is a statutory framework, such as contracts for the sale of goods, or the criminal law), other written laws generally give only terse statements of general principle, and the fine boundaries and definitions exist only in the common law (connotation 1). To find out what the precise law is that applies to a particular set of facts, one has to locate precedential decisions on the topic, and reason from those decisions by analogy. To consider but one example, the First Amendment to the United States Constitution states "Congress shall make no law respecting an establishment of religion, or prohibiting the free exercise thereof"; but interpretation (that is, determining the fine boundaries, and resolving the tension between the "establishment" and "free exercise" clauses) of each of the important terms was delegated by Article III of the Constitution to the judicial branch, so that the current legal boundaries of the Constitutional text can only be determined by consulting the common law. In common law jurisdictions, legislatures operate under the assumption that statutes will be interpreted against the backdrop of the pre-existing common law case law and custom, and so may leave a number of things unsaid. For example, in most U.S. states, the criminal statutes are primarily codification of pre-existing common law. (Codification is the process of enacting a statute that collects and restates pre-existing law in a single document—when that pre-existing law is common law, the common law remains relevant to the interpretation of these statutes.) In reliance on this assumption, modern statutes often leave a number of terms and fine distinctions unstated—for example, a statute might be very brief, leaving the precise definition of terms unstated, under the assumption that these fine distinctions will be inherited from pre-existing common law. For this reason, even today American law schools teach the common law of crime as practiced in England in 1789, because the backdrop of centuries-old English common law is necessary to interpret and fully understand the literal words of the modern criminal statute. By contrast to the statutory codifications of common law, some laws are purely statutory, and may create a new cause of action beyond the common law. An example is the tort of wrongful death, which allows certain persons, usually a spouse, child or estate, to sue for damages on behalf of the deceased. There is no such tort in English common law; thus, any jurisdiction that lacks a wrongful death statute will not allow a lawsuit for the wrongful death of a loved one. Where a wrongful death statute exists, the compensation or other remedy available is limited to the remedy specified in the statute (typically, an upper limit on the amount of damages). Courts generally interpret statutes that create new causes of action narrowly—that is, limited to their precise terms—because the courts generally recognize the legislature as being supreme in deciding the reach of judge-made law unless such statute should violate some "second order" constitutional law provision. This reliance on judicial opinion is a strength of common law systems, and is a significant contributor to the robust commercial systems in the United Kingdom and United States. Because there is common law to give reasonably precise guidance on almost every issue, parties (especially commercial parties) can predict whether a proposed course of action is likely to be lawful or unlawful. This ability to predict gives more freedom to come close to the boundaries of the law. For example, many commercial contracts are more economically efficient, and create greater wealth, because the parties know ahead of time that the proposed arrangement, perhaps close to the line, is almost certainly legal. Newspapers, taxpayer-funded entities with some religious affiliation, and political parties can obtain fairly clear guidance on the boundaries within which their freedom of expression rights apply. In contrast, in non-common-law countries, fine questions of law are redetermined anew each time they arise, making consistency and prediction more difficult. Thus, in jurisdictions that do not have a strong allegiance to a large body of precedent, parties have less a priori guidance must often leave a bigger "safety margin" of unexploited opportunities. The is a contrasting role for these between common law and civil law, in many subject matter areas, legal treatises compile common law decisions and state overarching principles that, in the author's opinion, explain the results of the cases. However, treatises are not the law, and lawyers and judges tend to use these treatises as only "finding aids" to locate the relevant cases. This is one of the "cultural" differences between common law and civil law jurisdictions (connotation 2): in civil law jurisdictions, the writings of law professors are given significant weight by courts. In common law jurisdictions, scholarly work is seldom cited as authority for what the law is. When common law courts rely on scholarly work, it is almost always only for factual findings or for policy justification, but the court's legal conclusion is reached through analysis of relevant statutes and common law, seldom scholarly commentary. While he was still on the Massachusetts Supreme Judicial Court, and before being named to the U.S. Supreme Court, Justice Oliver Wendell Holmes Jr. published a short volume called The Common Law which remains a classic in the field. In the United States, Restatements of various subject matter areas (Contracts, Torts, Judgments, and so forth), edited by the American Law Institute, collect the common law for the area. The ALI Restatements are often cited by American courts and lawyers for propositions of uncodified common law, and are considered highly-persuasive authority, just below binding precedential decisions. The Corpus Juris Secundum is an encyclopedia whose main content is a compendium of the common law and its variations throughout the various state jurisdictions. Scots common law covers matters including murder and theft, and has sources in custom, in legal writings and previous court decisions. The legal writings used are called Institutional Texts and come mostly from the seventeenth, eighteenth and nineteenth centuries. Examples include Craig, Jus Feudale (1655) and Stair, The Institutions of the Law of Scotland (1681). The United States federal government (as opposed to the states) has a variant on a common law system. The courts only act as interpreters of statutes and the constitution (to elaborate and precisely define the broad language, connotation 1(b) above), but, unlike state courts, do not act as an independent source of common law (connotation 1(a) above). Erie Railroad Co. v. Tompkins, 304 U.S. 64, 78 (1938) ("There is no federal general common law."). However, there are still some situations where United States federal courts may be permitted to create federal common law rules; see e.g. International News Service v. Associated Press, 248 U.S. 215 (1918) (creating a cause of action for misappropriation of "hot news" that lacks any statutory grounding, but that is one of the handful of federal common law actions that survives today), see also Clearfield Trust Co. v. United States, 318 U.S. 363 (1943) (giving federal courts the authority to fashion common law rules with respect to issues of federal power, in this case negotiable instruments backed by the federal government). In the United States, following the American Revolution, one of the first legislative acts taken by the newly independent states was to adopt "reception statutes" receiving the English Common Law. Some of these reception statutes were ordinary legislative acts, whereas some of them were implemented via state constitutions. Alexander Hamilton emphasized in The Federalist that this state constitutional provision in New York expressly made the common law subject “to such alterations and provisions as the legislature shall from time to time make concerning the same.” Thus, even when a reception statute was embodied in a state constitution, the common law was still made subject to alteration by legislatures. As more territories of the United States were granted statehood by Congress, the new states adopted reception statutes, just as their territorial legislatures had done. Here is an example of a reception statute enacted by ordinary legislation, in the state of Washington: "The common law, so far as it is not inconsistent with the Constitution and laws of the United States, or of the state of Washington nor incompatible with the institutions and condition of society in this state, shall be the rule of decision in all the courts of this state." The state of New York, which also has a civil law history from its Dutch colonial days, also began a codification of its laws in the nineteenth century. The only part of this codification process that was considered complete is known as the Field Code applying to civil procedure. The original colony of New Netherlands was settled by the Dutch and the law was also Dutch. When the British captured pre-existing colonies they continued to allow the local settlers to keep their civil law. However, the Dutch settlers revolted against the English and the colony was recaptured by the Dutch. When the English finally regained control of New Netherlands—as a punishment unique in the history of the British Empire—they forced the English common law upon all the colonists, including the Dutch. This was problematic as the patroon system of land holding, based on the feudal system and civil law, continued to operate in the colony until it was abolished in the mid-nineteenth century. The influence of Roman Dutch law continued in the colony well into the late nineteenth century. The codification of a law of general obligations shows how remnants of the civil law tradition in New York continued on from the Dutch days. The opposition between civil law and common law legal systems has become increasingly blurred, with the growing importance of jurisprudence (almost like case law but in name) in civil law countries, and the growing importance of statute law and codes in common law countries (for example, in matters of criminal law, commercial law (the Uniform Commercial Code in the early 1960's) and procedure (the Federal Rules of Civil Procedure in the 1930s and the Federal Rules of Evidence in the 1970s). Scotland is often said to use the civil law system but in fact it has a unique system that combines elements of an uncodified civil law dating back to the Corpus Juris Civilis with an element of common law long predating the Treaty of Union with England in 1707. Scots common law differs in that the use of precedents is subject to the courts seeking to discover the principle which justifies a law rather than to search for an example as a precedent and that the principles of natural justice and fairness have always formed a source of Scots Law. Comparable pluralistic legal systems operate in Quebec, Louisiana and South Africa. These systems are referred to as mixed legal systems. ↑ E.g., Uniform Commercial Code, Article 2, on Contracts for the Sales of Goods Retrieved June 3, 2008. ↑ Model Penal Code as adopted in several states, for example, New York's Penal Law Retrieved June 3, 2008. ↑ See, e.g., Yeo Tiong Min, "A Note on Some Differences in English Law, New York Law, and Singapore Law" (2006). Retrieved June 3, 2008. This is not to say that common law is better in every situation. For example, civil law can be clearer than case law when the legislature has had the foresight and diligence to address the precise set of applicable facts in a particular situation. For that reason, civil law statutes tend to be somewhat more detailed than statutes written by common law legislatures; but, conversely, that tends to make the statute more difficult to read. As a practical matter, no civil law legislature can ever address the full spectrum of factual possibilities in the breadth, depth and detail of the case law of the common law courts of even a smaller jurisdiction. ↑ At least in the U.S., practicing lawyers tend to use "law professor" or "law review article" as a pejorative to describe a person or work that is insufficiently grounded in reality or practicality—every young lawyer is admonished repeatedly by senior lawyers not to write "law review articles." ↑ Glenn Lammi and James Chang, Michigan High Court Ruling Offers Positive Guidance on Challenges to Tort Reform Laws (December 17, 2004). Retrieved June 3, 2008. ↑ New York Constitution of 1777 Retrieved June 3, 2008. ↑ Federalist 84 Retrieved June 3, 2008. ↑ Nathan Dane, 6 GENERAL A BRIDGMENT AND DIGEST OF AMERICAN LAW §182 art. 5, 230 (Cummings, Hilliard & Co., 1823). ↑ Washington Legal Foundation v. Legal Foundation of Washington, 271 F.3d 835 (9th Cir. 2001). Retrieved June 3, 2008. The Common Law by Oliver Wendell Holmes Jr., available for free via Project Gutenberg. This page was last modified on 14 March 2017, at 18:03.